The gallery of desirable gowns over, take a scroll to see the world’s most bizarre gowns ever! One pop and it’s all over. This will be a cutlery-free wedding affair. No knives or forks should be used at this celebration. The groom should take extra precautions and avoid wearing glasses, a belt or pointy shoes. 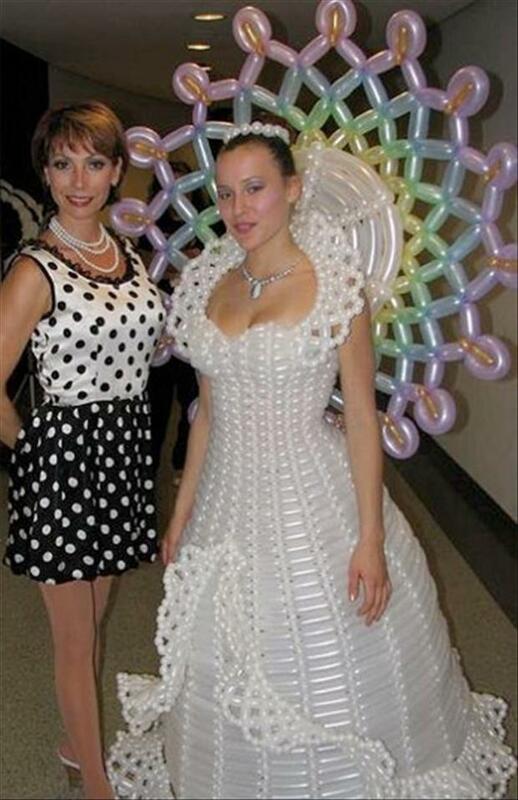 Imagine the look of terror on the bride’s face if some prankster decided to sneak up from behind and pop her balloons. It would be a disaster.